3300 x 130 feet turf, 90 feet between runway lights. 2nd Annual was April 21st, 2013! 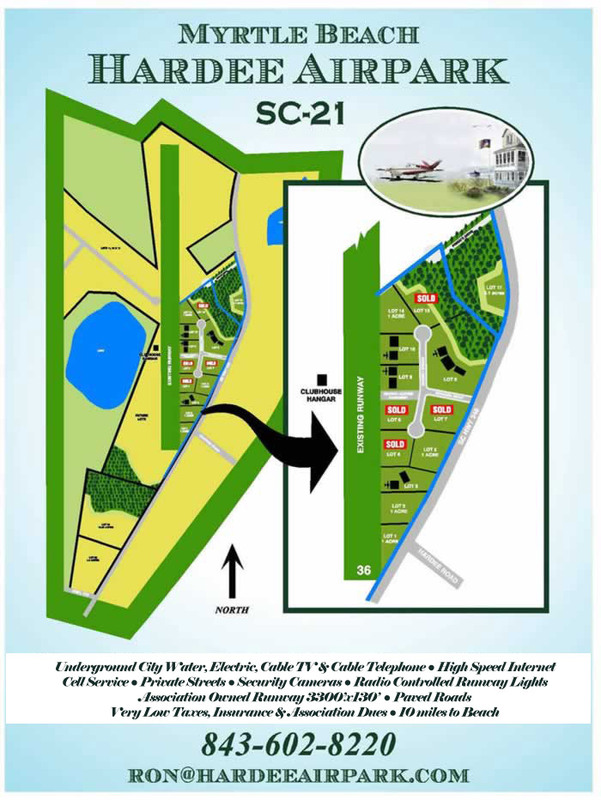 Myrtle Beach Hardee Airpark is a new residential housing and airport community located in Horry County, South Carolina. Located just 14 driving miles (22 minutes) from the Atlantic Ocean and Myrtle Beach, SC. Our location is NORTH of Hurricanes and SOUTH of Snow. Please call for prices and lots available.